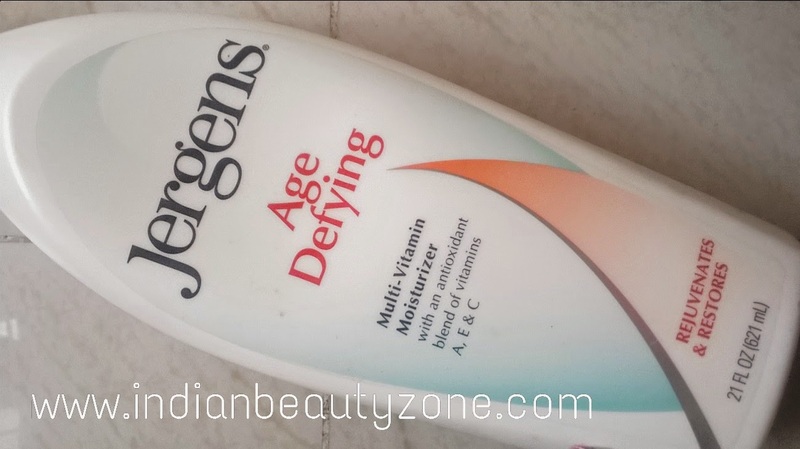 Help turn back the clock on the signs of aging with Jergens Age Defying Multi Vitamin Moisturizer. This rejuvenating lotion is formulated with emollients, anti-oxidants and a multi-vitamin blend of vitamins A, E and C to help restore dry skin's healthy look. You'll get more beautiful, visible youthful skin by diminishing the signs of aging. 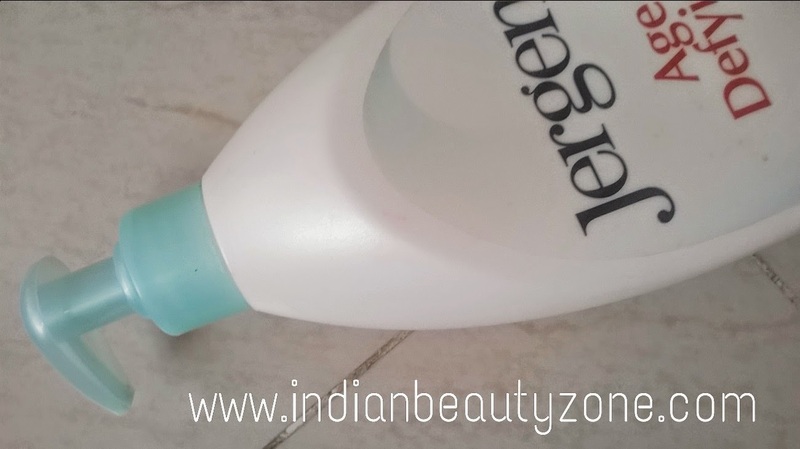 Jergens moisturizers are uniquely created to make a beautiful difference for your skin - a difference you can actually see, feel and experience. That's because we believe it's not enough for your skin to feel its best - it should look its best too. Water, Glycerine, Cetearyl alcohol, Petroleum, Mineral oil, Ceteareth-20, Tocopheryl acetate, Magnesium Ascorbyl phosphate, Retinyl Palmate, Dimethicone, Cyclopentasiloxane, Glyceryl Dilaurate, Lecithin, Stearic acid, Aluminium starch octenylsuccinate, Carbomer, Methylparapen, prophylparaben, alcohol, DMDM hydantion, sodium hydroxide, fragrance. It is really a huge package, it is a sturdy white plastic bottle with a pump dispenser. Obviously it is not a travel friendly packaging. The colour of the moisturizing lotion is milky white, it smells good and mild. Though it mentioned as lotion the texture is more on cream side. 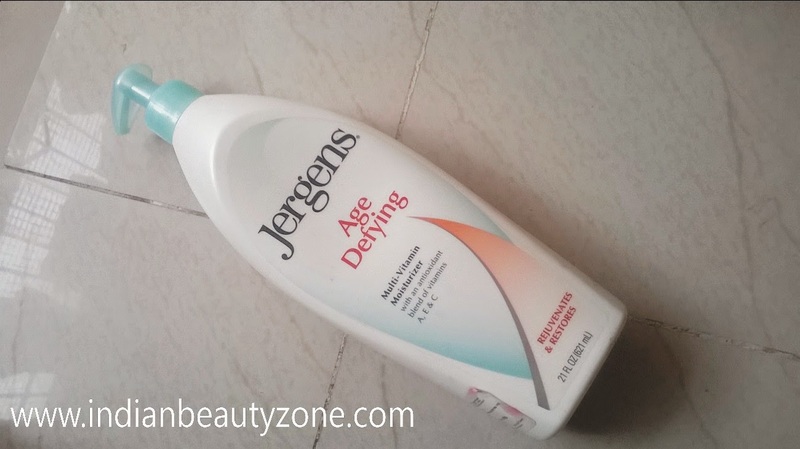 I really loved this Jergens moisturizing lotion. I bought this one last year and before two months back I gave it to my Mom. I got bored of this moisturizing lotion , because it comes for really a long time and it is a huge bottle that can be finished by a big family if all of them use it regularly. This body lotion is simply amazing and made my skin soft and supple. I had few age spots on my arms which were vanished after regular usage of this lotion. My arms and hands become silky smooth. You will need less amount of this body lotion for applying it on your hands and legs. I didn't use it on my face as I have oily acne prone skin. This body lotion easily gets absorbed into the skin and makes it shiny. After regular use my hands became brighter than before. I was really addicted to this body lotion until I got bored of it. I will surely repurchase this body lotion after some time, but smaller package. It is affordable when compared with its ample amount of body lotion provided for the price. Imports supple and shiny skin. Very dry skin people can use it for their face too. Sounds nice. 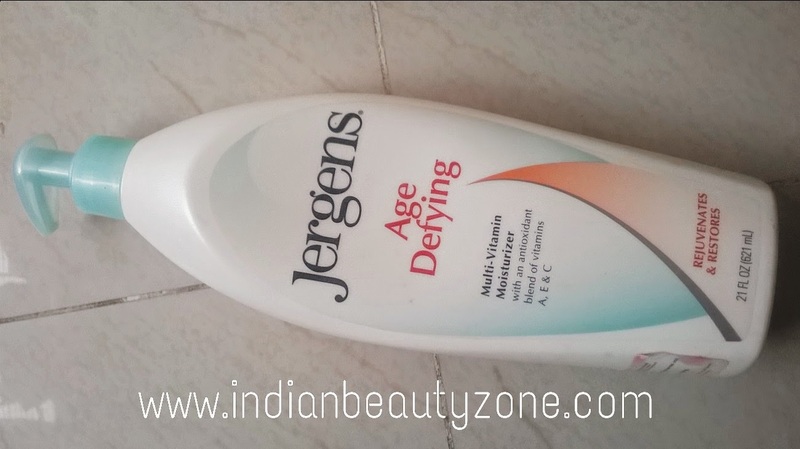 I've always liked the Jergens moisturizers too.